Good morning, everyone! Welcome to Monday's Open Forum! Today's Open Forum submission was made by kaploy9! 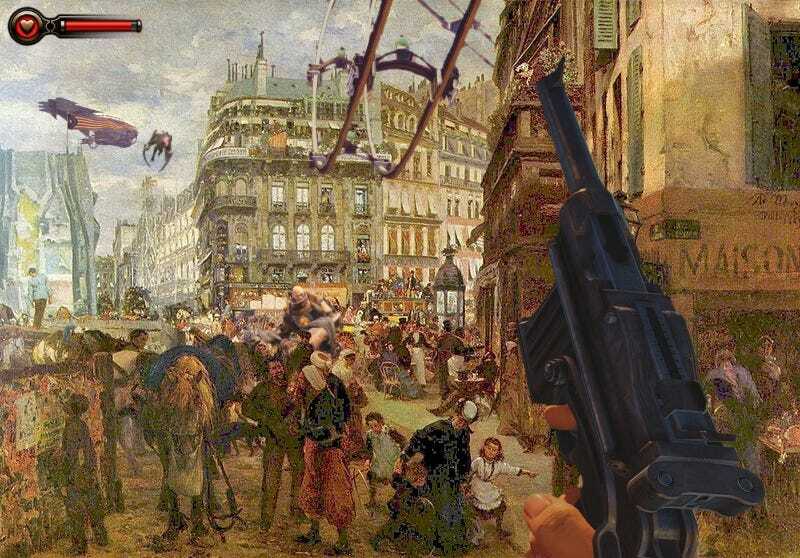 The Bioshock: Infinite theme fits surprisingly well with this image. Make sure to congratulate him on his submission! Well, TAY has been abuzz with news about Animal Crossing. I got my copy Sunday night via digital download from the Nintendo E-Shop and got a chance to pay off my down payment and do some other stuff in my town. MementoMorie came to visit on Saturday and we went to the Distant Worlds concert that night with my wife. We'll see if I decide to do a writeup at some point of that. Anyway, she left last night, and we had a really great weekend. My wife and I were both sad when she had to leave. Weekends just aren't long enough. So, what did all of you do? I want to know, so leave a comment below and let the discussions commence! Bell Rocks rock, and so do your discussions. Head on over to TAYCLASSIC and see if you can shake yourself up some conversation. Just watch out for the bees.